This 1.34 acres is located within walking distance to Regional Hospital and Elementary School. 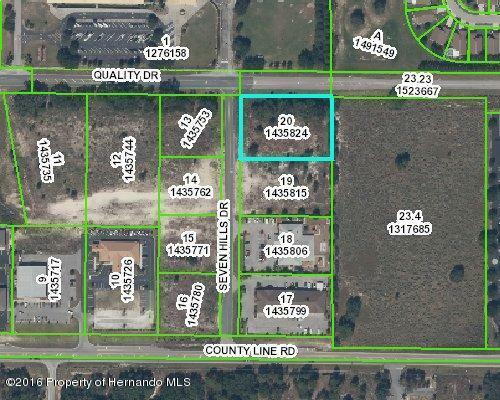 This Corner lot located across from Suncoast Elementary and close to Spring Hill Regional has all utilities in place and at the property line. Excellent location medical and offices. join the many medical facilities already in the area and retailers, Dunkin Donuts, Applebees, McDonalds, Public's, Dollar General to name a few.